Meet the all-new 2018 Elantra GT: Sporty, Powerful and Safe. The all-new Elantra GT is the latest member to join the Elantra family. This sporty hatchback was designed in Europe and fine-tuned on the famed Nürburgring race circuit in Germany. Along with the sporty hatchback style the GT also features standard 16-inch alloy wheels with a two-tone 10-spoke design, along with with LED daytime running lights and side repeaters. Full LED headlights with automatic high beams are available and create an unmistakable bold look while casting a signifigantly longer and brighter light beam. What better way to travel in Canada than with the comfort of heated front seats and a heated steering wheel — both standard features in the all-new Elantra GT. Also standard is a rearview camera with dynamic guidance to make backing up easier and safer. Up your comfort level even more with available ventilated front seats and Infinity premium audio system with 7 speakers, including subwoofer. The spacious hatchback offers versatile cargo space to pack up for your adventures, plus an available panoramic sunroof so that everyone can enjoy the stars. Starting with the foundation of the all-new Elantra GT is the SUPERSTRUCTURE, a state-of-the-art platform that lies at the core of each member of the Elantra family lineup. The rigid composition not only delivers enhanced safety but an exceptionally smooth ride with improved shock absorption and high-speed stability. Also standard on the GT is a Blind Spot Detection system with Rear Cross-Traffic Alert. 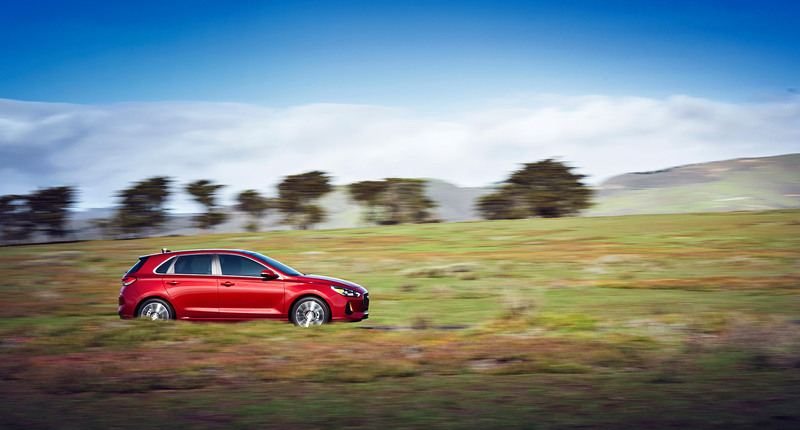 Other advanced safety technology available on the Elantra GT includes Adaptive Cruise Control, Auto Emergency Braking with Pedestrian Detection, Lane Keep Assist system and Attention Assist.